 Explore Franconia Notch State Park via the 8 mile, paved recreation path. Enjoy a leisurely stroll, bike ride, or a more challenging side trip along one of the dozens of hiking trails just off the path. Within the park lies a number of attractions including the Flume Gorge, Aerial Tramway, New England Ski Museum, and Old Man of the Mountain Historic Site. Just west of North Woodstock on Route 112, outdoor enthusiasts can explore Lost River Gorge and Boulder Caves and access trails in the Kinsman Notch region. At the entrance to the Kancamagus Scenic Byway in Lincoln, hike the Lincoln Woods Trail for a long, but relatively easy, hike through the forest. Journey all the way in to be rewarded with experiencing Franconia Falls. Make Lincoln, Woodstock, Franconia Notch your basecamp for experiencing the great outdoors in the Western White Mountains.